A new cop’s use of a Taser on a man fleeing a potential crime scene was unjustified, the Independent Police Conduct Authority has ruled. And, they say the probationary constable breached police policy when he used the weapon on the alleged offender. A called to police thought someone was trying to steal a car Mt Eden on October 1, 2015. When two officers arrived they found a man sitting in a stolen Porsche. He saw police and sped away. After a short pursuit, the Porsche was stopped by road spikes. The driver got out and fled, and the probationary constable followed him on foot. The IPCA report, released this morning, said the constable believed that the man was going to enter a house and decided to use his Taser to stop him. “He fired his Taser twice at the man as he ran away,” the report said. The man was arrested a short time later after a struggle. A month later the man complained to police about the force used during his arrest. “He said that he should not have been Tasered and that the probationary constable pushed him down a flight of stairs and then tried to break his arm when he was arrested,” the IPCA report stated. “The authority acknowledges that the probationary constable was inexperienced and was worried the man could run into a house where he could get help, get a weapon or hurt an innocent member of the public,” said chairman, Judge Sir David Carruthers. 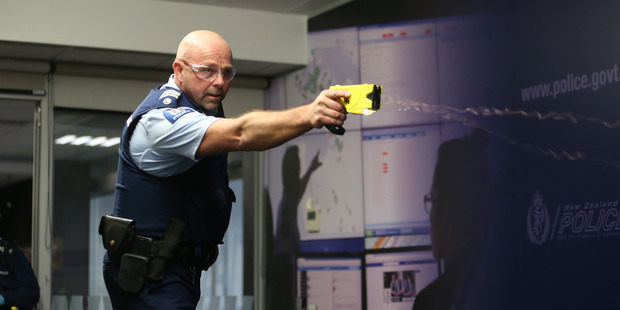 A police officer demonstrates the use of a taser at Police National Headquarters in Wellington. New Zealand Herald Photograph by Mark Mitchell. 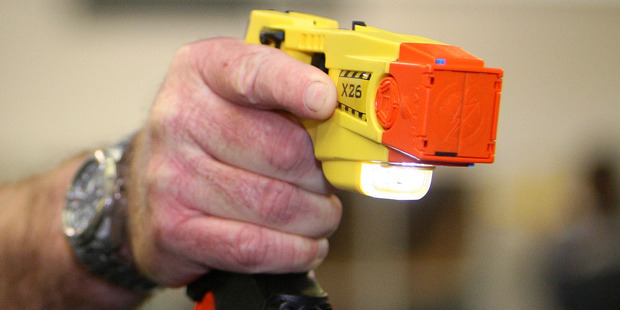 “However police policy is clear that a Taser can only be used on a person who is assaultive. “As the man was running away at the time, his behaviour had not met that threshold. The man also claimed that the constable told ambulance paramedics to “knock him out”. But the authority did not uphold that part of the complaint. “The probationary constable did not dive on the man or push him down the steps or try to break his arm,” Sir David said. “The force used by the officer to handcuff and control the man was reasonable and justified in the circumstances. Police revealed that during the arrest the offender bit the officer, who needed hospital treatment as a result. The offender was later convicted on a number of charges, including stealing the car, assaulting police, failing to stop for red and blue flashing lights, driving while forbidden and receiving property and possessing tools for burglary. 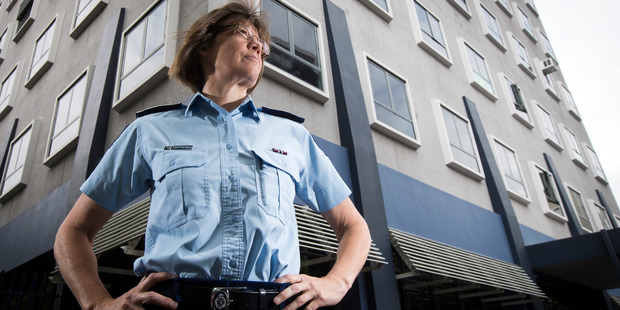 Auckland City Police District Commander Superintendent Karyn Malthus. New Zealand Herald photo by Jason Oxenham. Auckland City District Commander Karyn Malthus said police accepted the IPCA finding. “Officers face making split-second decisions every day and we constantly seek to deliver policing to the high standards we set for ourselves,” she said. “Learnings have been taken from the incident and we accept the findings of the IPCA. Malthus noted that a number of allegations had not been upheld. Next postWhy shouldn’t children learn Te Reo Māori?